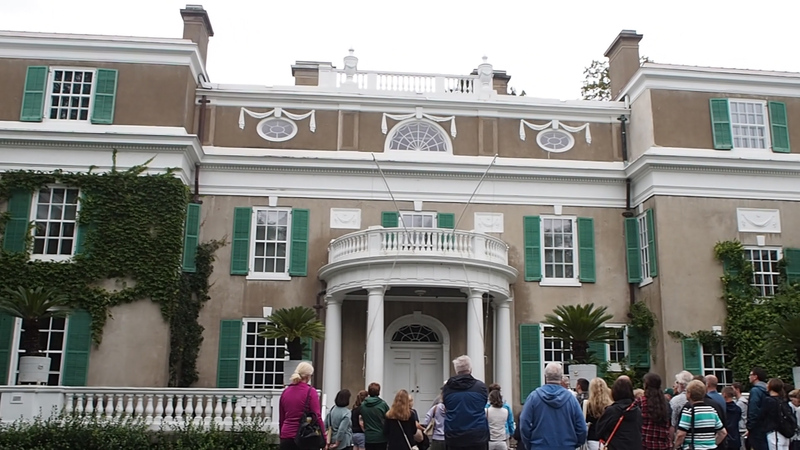 The Hudson Valley is steeped in culture and heritage, from Open Air museums to historical houses. During the turn of the century, the leaders of industry decided to make the Hudson Valley their home away from home, constructing palatial estates all up and down the banks of the Hudson River. People like the Vanderbilts, the Astors, the Morgans and the Roosevelts. Franklin Delano Roosevelt, our 32nd President, was the benefactor of one of those estates. The FDR Estate, now a member of the National Park Service, sits in a town called Hyde Park, also home to the Culinary Institute, one of the foremost authorities in food and hospitality. The Hudson Valley is one of my favorite places and a wonderful side trip from Albany or New York City. I was trying to think why that area of New York appeals to me when it occurred to me. The Hudson Valley resembles the English Country with a great river carving its way through the center of it. We decided to drive down 9G connecting with Route 9 in order to see some of the other historic homes and towns along this scenic drive. We made a day of it. Stop in Rhinebeck for lunch before visiting the estate. There are some great restaurants in this small town. The Beekman Arms is one of those. Established in 1844, the Beekman Arms served as an Inn and restaurant and has since provided amazing lunches and dinners to those who are looking for a little bit of the finer life. 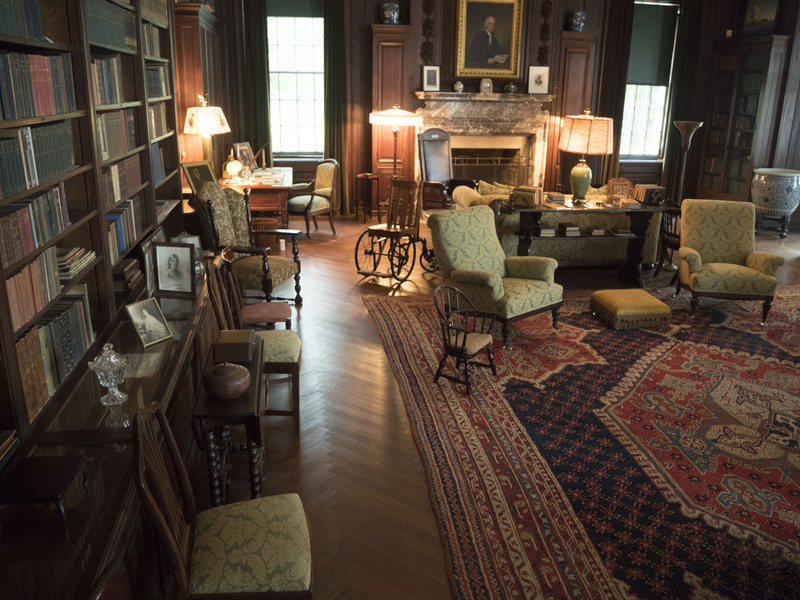 After lunch, make your way to the Home of Franklin Delano Roosevelt. As you turn in the long drive you are guided to the Visitor’s center. This will be your first stop. Here you can buy tickets for the house tours of the main house, Springwood, and Top Cottage, which was FDR’s personal escape. If you want to see both houses, make sure that you visit either earlier in the day or visit Top Cottage first and then Springwood. Tours are offered for Springwood every half hour and last about an hour. Tours for Top Cottage are only offered at 11:10 am, 1:10 pm and 3:10 pm. 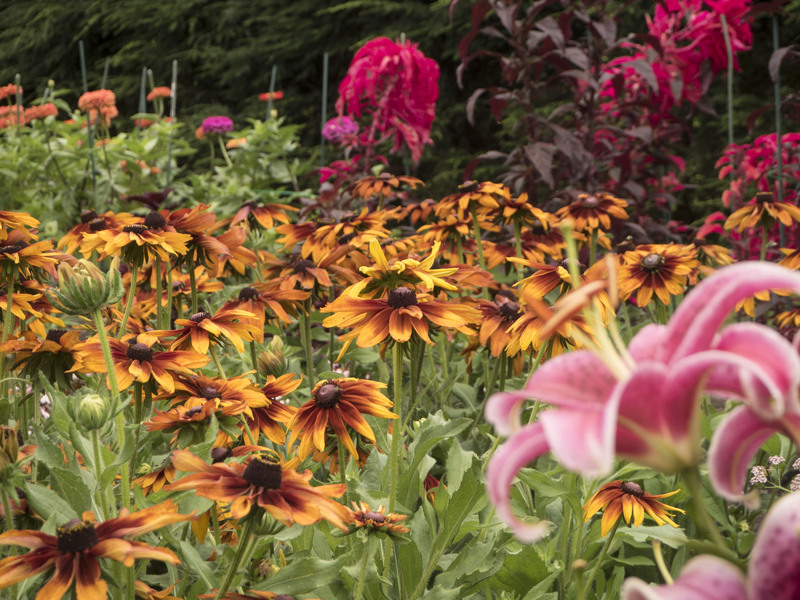 There is quite a lot to see on the grounds. We got there a little earlier than our tour time so we went to the Museum and Library first. The FDR Presidential Library is actually the very first Presidential Library established. The Museum takes you through the life of FDR and Eleanor Roosevelt from their upbringing through their marriage and into his Presidency. The museum gives you a brief overview of the climate of the times as well as the social and economic programs put in place during the 12 years of FDR’s leadership. Take your time in the museum. There is a lot to see and take in. There are even sections where you can sit and listen to some of FDR’s famous “Fireside Chats”. 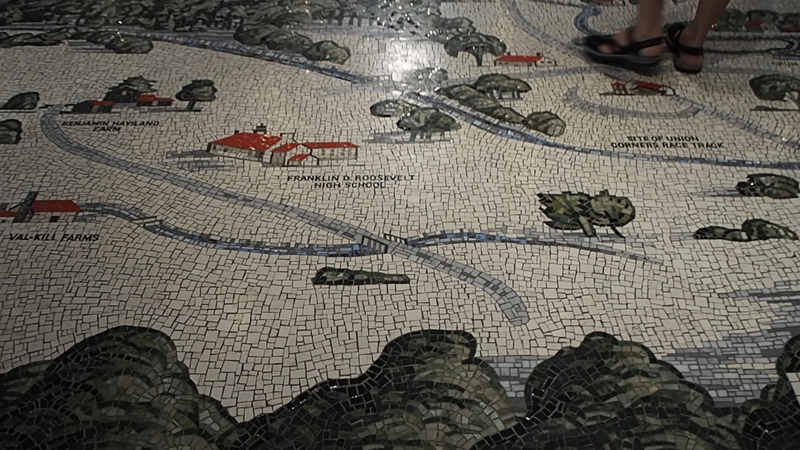 Our tour met at 2:30 pm, around a beautiful mosaic which was laid out on the floor of the Visitor’s Center depicting a small area of the Hudson Valley and all of the major estates within. From there a National Parks Service Guide gives you a brief overview of FDR’s life, how he came to be and what we can expect on the tour. I think depending on the guide you get it will change the tone of the tour. Our guide was fantastic however I did feel that the tour itself was biased toward Eleanor Roosevelt. I really felt that I learned more about her than I did FDR. Regardless the content you receive from the Rangers is excellent. Springwood sits about a quarter of a mile away from the Visitor’s Center, don’t worry if you aren’t too mobile there is a trolley that rides behind the rest of the tour group and runs every half hour. Outside Springwood, the tour guide tells you a little bit about the history of the house and its owners. An interesting fact, FDR’s relatives, the Delanos, accrued their wealth through the sale of opium, and that trade made them extremely wealthy. The house itself is in the Federal design with beautiful stonework on the wings. From the 2nd floor, you can just glimpse a small glimmer of the Hudson River flowing below. The house inside is very cluttered and dark. The Park Service decided to keep low lighting in the house to preserve the artifacts. You are able to take photos but flash photography is prohibited. There is no rhyme or reason to the collection within. It was well-known that the Roosevelts collected what they liked and didn’t care if it matched anything else. Hundreds of lithographs and etchings cover the walls along with family photos and portraits. The house definitely feels very comfortable and lived-in, as if the owners are coming back in a minute. The second floor of the home is just as homey as the first. 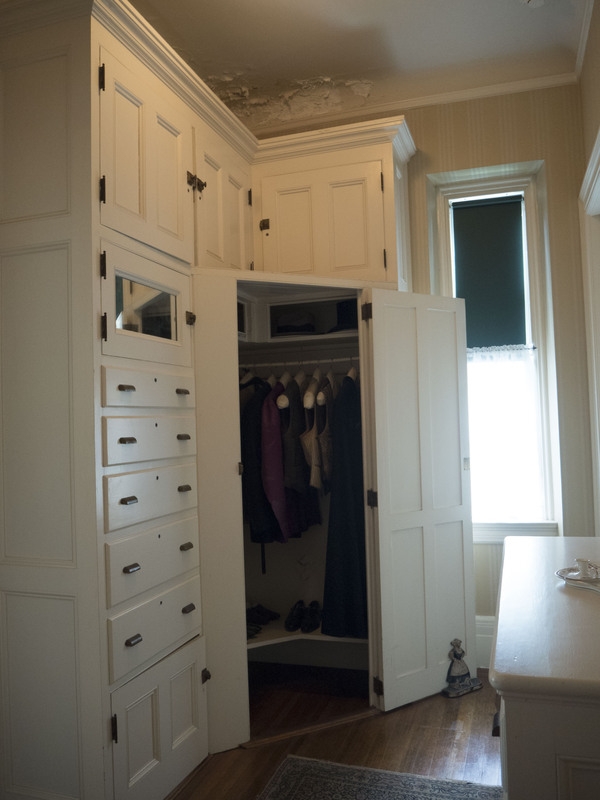 I have to say I was struck by how modestly the rooms were furnished, especially on the second floor, apart from FDR’s wardrobe, which is something I think most ladies would love to have. I also got the feeling that one didn’t have a lot of privacy in that home. Most of the rooms were adjoined to another by way of either a door or a bathroom. The tour leads you into of a sunroom on the second floor and out the back of the house. From there, your guided tour has ended and you are free to travel the grounds as you see fit. On the north side of the house is the Carriage house and Stables with some examples of yokes and bridals used. Directly in front of the Stables is a beautiful Rose Garden and in the center, is the final resting place of Franklin and Eleanor Roosevelt, along with their beloved dog, Falla. We found ourselves there for a good four hours before we decided to call it a day. Cutouts of the Berlin Wall. Exiting out of the East side of the garden you find yourself in front of two modern cutouts. 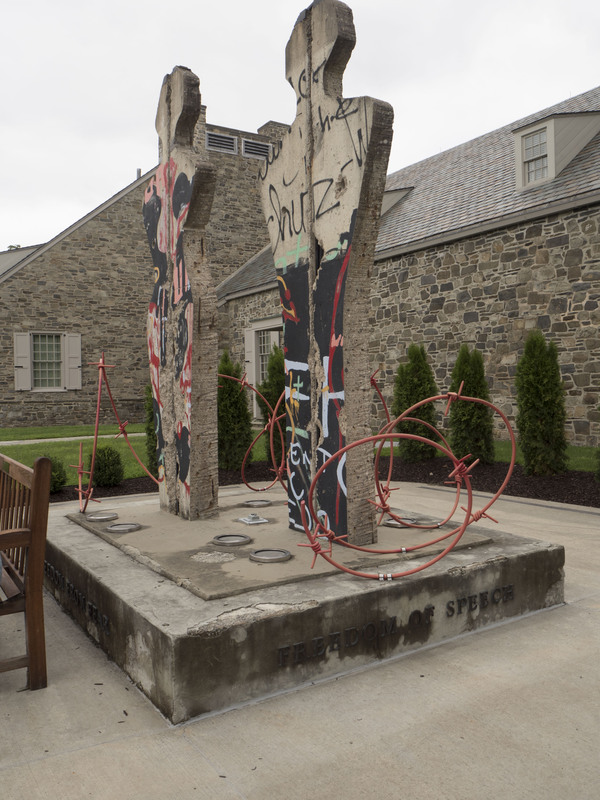 They are sections of the Berlin wall, carved into a man and woman, gifted by Winston Churchill to FDR for his friendship and support during World War II. We found ourselves there for a good four hours before we decided to call it a day. 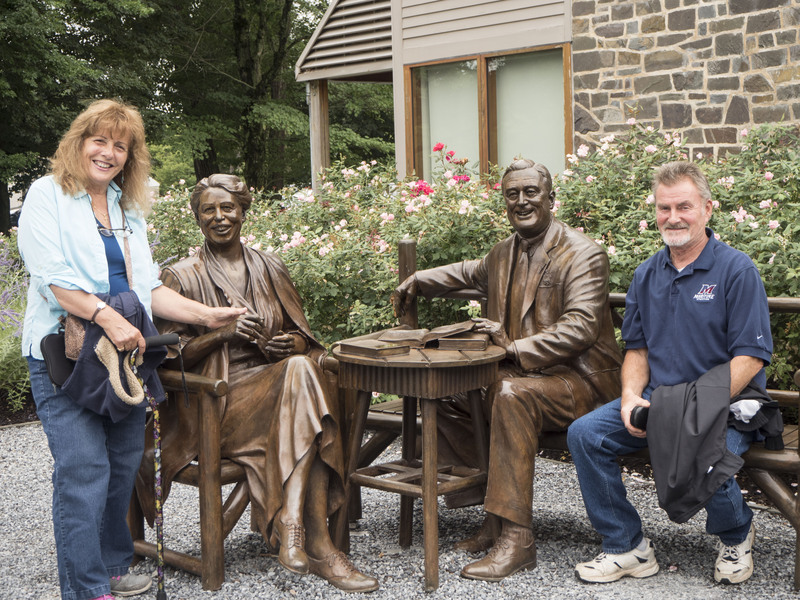 Although this is a great day trip you could extend the trip for an entire weekend to include Eleanor Roosevelt’s house, Val-Kill, located on 9G about a 10-minute drive from FDR’s home and FDR’s getaway, Top Cottage. Both houses will take about an hour each for the guided tour and then additional time to walk the grounds and outbuildings. Finish off your Roosevelt themed weekend by renting Hyde Park on the Hudson and watch the story of FDR played by Bill Murray, as he hosts the King and Queen of England. FDR believed that everyone was equals if they were eating hot dogs, outside, off of paper plates. If you’re coming from Albany or New York City there are a couple of ways you can get there, by either train or by car. Train: From Albany or New York City: Take Amtrak to Poughkeepsie Train Station then board the Roosevelt Bus which travels on a circle route between the train station and the three Roosevelt sites. Car: Take I-87 and cross over at the Mid-Hudson Bridge. Follow Route 9 North and the FDR Home will be on your left just as you enter Hyde Park. Rhinebeck is located further north on Route 9.